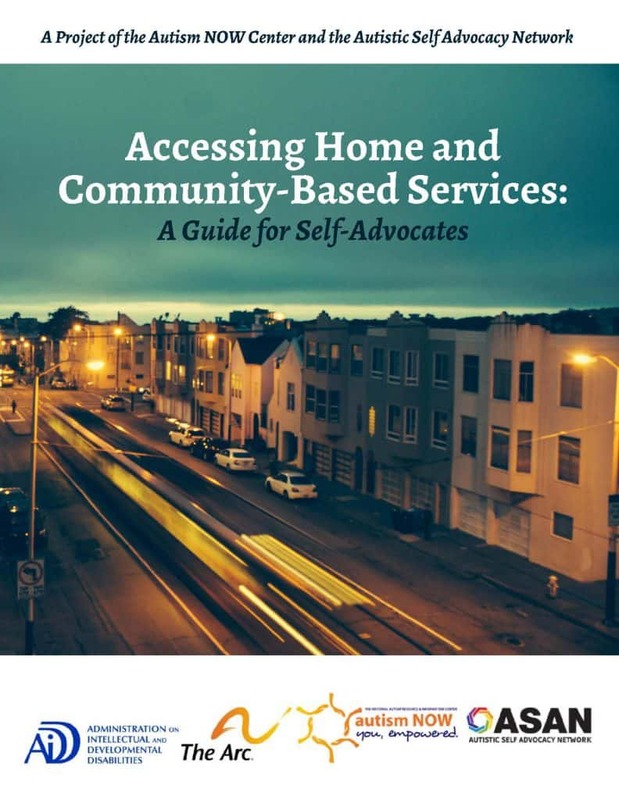 ASAN partnered with the Autism NOW Center to produce Accessing Home and Community-Based Services: A Guide for Self Advocates. This handbook was designed to help people with disabilities find and use resources that empower us to live and be in charge of our own lives in our own homes and communities with the supports that we need. The handbook explains Medicaid home and community-based waivers, how to access them, and what alternatives are available for people who don’t qualify for certain government programs. It also has information about self-directing your support services, and outlines different options for supports we can use for housing, employment, daily living, and accessing our communities. Corbin K., Ianthe MBD, Jo M., Simone V.